Brenda Earle | Feel the Music! Originally from Canada, pianist/vocalist/composer Brenda Earle has been active on the International Jazz scene, playing at concerts and venues in New Zealand and across Canada and the United States. Her fourth CD of original music Happening has garnered rave reviews around the world. Brenda has a B.F.A from York University and a M. Mus from Manhattan School of Music. In addition to her busy performance schedule, Brenda loves teaching music to children of all ages. 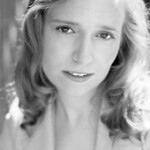 She teaches piano and voice to students in New York City and as guest clinician at high schools and colleges.